These are related toour field work in New Hampshire (opportunities for summer internships!) 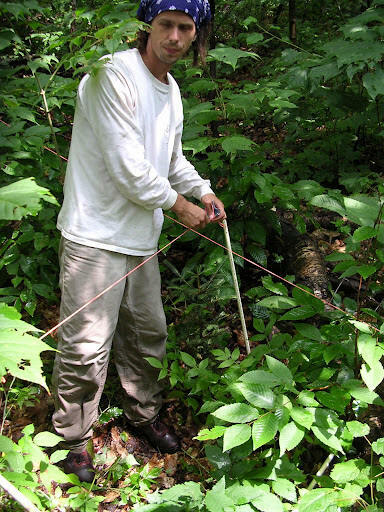 inMultiple Element Limitation in Northern Hardwood Ecosystems(http://www.esf.edu/melnhe/). Weare measuring the response of forests tonutrient limitation, by adding nitrogen, phosphorus, and calcium to 13 northernhardwood stands in Bartlett Experimental Forest, Hubbard Brook ExperimentalForest, and Jeffers Brook, all in the White Mountain National Forest. For researchapprenticeships (FOR 298), we can offer a variety of activities in the spring semester. 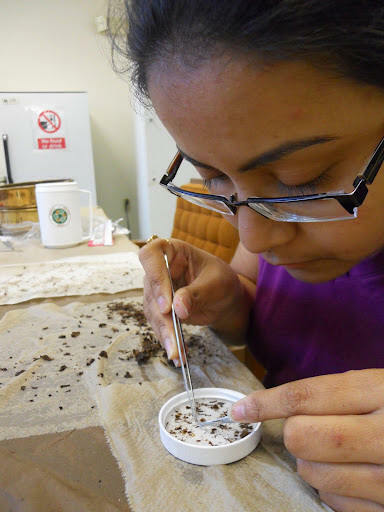 Laboratory activities include processing leaf litter,analyzing soil texture, sorting roots from soil, sorting seeds from litter,identifying Neonectriaspecies via microscopy, and entering and managing data.These do not require an independent project and are graded S/U based on hoursworked (40hours/credit). For independent study(FOR 498), we have identified the following project opportunities. 1. We have newinformation on soil properties at two of our research sites, bringing the totalto 14 sites with complete information on soil mass and chemistry.Thesedata could be used to test hypotheses about how differences among sites in soilproperties control processes such as seed production, tree diametergrowth,soil nitrogen mineralization, soil respiration, and root biomass. This projectinvolves literature review and data analysis. 2. Our pre-treatmentfoliar data set is incomplete! There are archived samples in need ofanalysis. A student on this project would learn procedures foranalyzing tissuechemistry using microwave digestion and inductively coupled plasma emission spectroscopy.Data analysis could include calculation of foliarnutrient resorption inresponse to our treatments (pre-treatment concentrations being an importantcovariate in the analysis). 3. Beech bark diseaseinvaded North America a century ago but the disease is still not entirelyunderstood. So far we know that this disease complex involvesthe attack ofbeech trees by either (or both) of two types of beech scale insect, followed byeither (or both) of two types of neonectria fungi. An intern on thisprojectwill sort photos of diseased beech trees and quantify aspects of the disease onphotos of tree bark using ImageJ, a java-based image processingprogram. 4. Video/photographicdocumentation of lab procedures: A student interested in environmental interpretationor science communication could help us documentmany of the lab procedures wefind difficult to explain, such as root sorting, leaf sorting, ashing anddigestion, ICP, and oxidizing soil organic matter prior totexturaldetermination. 5. Soil texture is amaster variable that determines water holding capacity and affects nutrientcycling in ecosystems. We need to determine whether a pre-treatment to removeorganic matter (by wet oxidation or dry ashing) is necessary to get accurateresults. This project involves soil processing and analysis anddata analysisand interpretation. Contact Alex Rice atarice01@syr.edu for more information. Ruth Yanai is seeking new graduate students (MS or PhD) to participate in a large collaborative project investigating above and belowground carbon allocation, nutrient cycling, and tradeoffs involved in multiple resource allocation. The Multiple Element Limitation in Northern Hardwood Ecosystems (MELNHE) project has field sites located at Hubbard Brook, Jeffers Brook, and Bartlett Experimental Forests in the White Mountains of New Hampshire. Since 2011, thirteen stands have been receiving N, P, N&P, and control treatments in 0.25-ha plots, with six stands receiving Ca treatments. 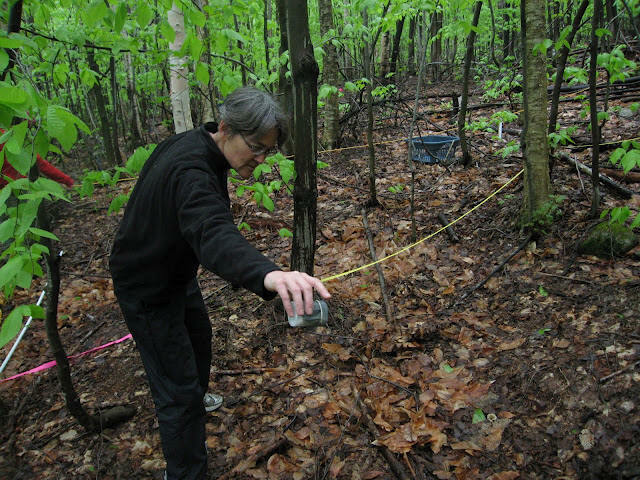 Research in the MELNHE project includes aboveground diameter growth, leaf production by species, foliar nutrient resorption, water use, soil respiration, soil mineralization, beech bark disease, mycorrhizae, and snail and arthropod diversity. More information on the project can be found athttp://www.esf.edu/melnhe. We welcome inquiries from prospective students interested in forest ecology, nutrient cycling, and uncertainty analysis (http://quantifyinguncertainty.org). Applicants should be self-motivated, excited to work as part of a multi-investigator project, have laboratory and field experience, and be comfortable living and working in a group setting. A field crew blog from previous years is available athttp://shoestringproject.wordpress.com/. We prefer for students to join us for the summer field season, which starts June 1, 2019, so as to become familiar with the field sites and our research activities before starting classes in late August. Funding will consist of a combination of research and teaching assistantships. A stipend, full tuition waiver, health insurance, and a summer position with the field crew in New Hampshire will be provided. Prospective students may apply to the Department of Forest and Natural Resources Management or the Graduate Program in Environmental Science, both at the SUNY College of Environmental Science and Forestry, Syracuse, NY. We appreciate communicating with students as part of the application process. Students are encouraged to review MELNHE related data and publications and supply their own ideas for research in relation to the project. Prospective students should begin that conversation by requesting the password for Ruth's project materials from Mary Hagemann at forestecology@esf.edu. Undergraduates or recent graduates seeking research experience in forest ecology are invited to apply for a 10-week expense-paid internship at Bartlett, Jeffers Brook, and Hubbard Brook Experimental Forests in the White Mountains of New Hampshire. About the Project: Multiple Element Limitation in Northern Hardwood Ecosystems (MELNHE) seeks to examine the limits to forest productivity in the context of resource optimization theory. In 2011, we began the first long-term N x P factorial manipulation experiment in a temperate forest; previous tests of N and P limitation in temperate forest systems have been few, and those few have been short-term with very high rates of fertilization. 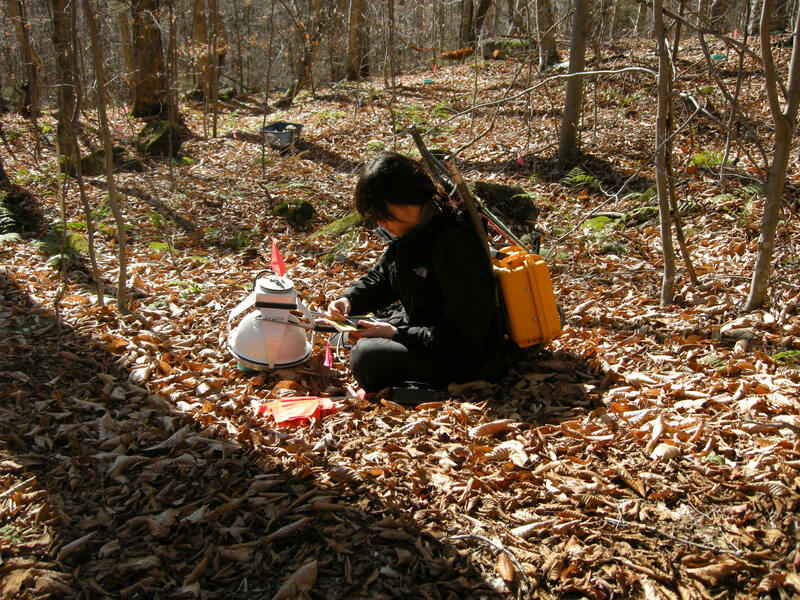 Our experiment involves 13 forest stands distributed across three sites in the White Mountains of New Hampshire. Five years ago, we found that trees had grown more in response to P than to N addition (Goswami et al. 2018), which was important, as forests on recently glaciated soils have been presumed to be N limited. Perhaps anthropogenic N deposition has tipped many systems towards P limitation. This summer, we will measure trees again to test whether co-limitation has been attained within a decade, as predicted by the MEL model (Rastetter et al. 2013). More information on the project is available at https://www.esf.edu/melnhe/, including a blog from previous field crews. Internship Description: In addition to all-hands activities such as applying fertilizer at the beginning of the field season, excavating soil pits in July, and measuring tree diameters in August, interns will be guided in the design of independent research projects and will interact closely with graduate students and senior research scientists. Research projects could include the effects of nutrient addition on soil pH and N availability, fine and woody litter production, or soil respiration and belowground carbon allocation. Interns will gain a wide variety of skills by assisting in all ongoing projects and will have the opportunity to present their results at the annual Hubbard Brook Cooperators Meeting in July. The field season will begin on Monday, June 3 (arrive on June 2) and end on Friday, August 9 (depart on August 10). A stipend of $200 per week is provided for living expenses. Interns are provided with shared housing at Bartlett Experimental Forest; tenting is optional. Work days typically begin at 8:00 and end at 4:30, but may be shorter or longer depending upon the day’s activities. Days off may not always land on weekends due to logistical considerations. Food is prepared communally by the interns and graduate student researchers, and the cost of groceries generally runs $6-7 per day. Desired Qualifications: Ideal applicants will have a strong interest in forest biology, ecology, or biogeochemistry. Undergraduate students and recent graduates will be considered. A positive attitude is important and a sense of humor is a plus. Willingness to work and live in a communal setting is critical. Candidates should be able to perform repetitive tasks with attention to detail in a field setting under adverse conditions. Applicants should be flexible in their expectations, but an estimated breakdown of the summer is: 60% fieldwork, 15% lab work, 10% data management, and 15% research proposals and reports of independent projects.